CRYSTAL CONNECTIONS 8.5x11" Laminated Chart! Celestial Crescent Moon & Star Beaded Wind Chime! All Purpose Ritual Spell Oil! 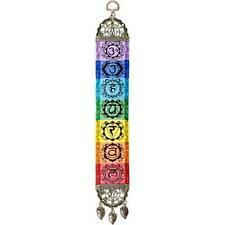 Mini 7 Chakras Mini Turkish Carpet Wall or Door Hanging! Tumbled Stone Chart #3: Their Properties and Uses! Guardian's Prayer Parchment Page for Book of Shadows, Altar! 9 HERBS Parchment Page for Book of Shadows, Altar! Divine (Brand) 100 Stick Bulk Incense, Night Queen Scent! 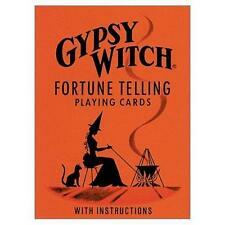 The Wildwood Tarot Deck Kit with Deck & Book! One 10-Cone Box SAC Lavender Incense Cones! 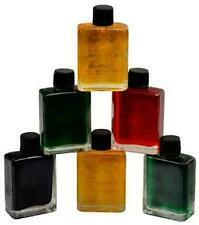 Dragon's Blood Ritual and Spell, Fragrance Oil! 80mm Capacity Silver Crystal Ball Stand or Sphere Holder! Small 3" Diameter Selenite Charging Disc! Witch's Hat Pocket Stone Talisman, Worry Comfort Stone! MONEY Herbal Reiki Charged Votive Candle in Jar! Sagittarius (Zodiac) Parchment Page for Book of Shadows, Altar! Charged Protection Amulet Pendant with Pentacle! HUGE 10 x 13 Tree of Life Leather Bound Book of Shadows, Journal, Diary! One 10-Cone Box Hem Anti-Stress Incense! Blue Evil Eye Ward Pendulum! RAVEN Prayer Parchment Page for Book of Shadows, Altar! Ceramic Dragon On Castle Backflow Incense Cone Burner! One 8-Stick Box of Hem's The Moon Stick Incense! "The Art of Smudging" Laminated Wall Hanging, Poster! Peruvian Dolomite ELEPHANT Spirit Animal Totem! Pentagram Triple Moon Goddess Yellow & Black Altar Cloth! Rosicrucian Cross (Rose Cross) Parchment Page for Book of Shadows! Gemini (Zodiac) Parchment Page Book of Shadows, Altar! CHAKRA CENTERS 8.5x11" Laminated Chart! One 8-Stick Box Padmini Spiritual Guide Incense! 10" Wise Owl Brass Wind Chime! Chakras Laminated Chart! What They Are and How to Balance! Hidden Chamber Lapis Lasuli Pendulum! Peruvian Dolomite Hummingbird Spirit Animal Pocket Totem! Resin and Powder Incense Spoon and Tong Set! Great Mother Spirit Evocation Parchment Page for Book of Shadows, Altar! RAVEN Holding Pentagram Talisman Book of Shadows! Triple Moon Goddess & Pentagram Wind Chime!